Whether you and your family are young or old, Dr. Taylor and his team are ready to help you get the dental care that you need and desire. 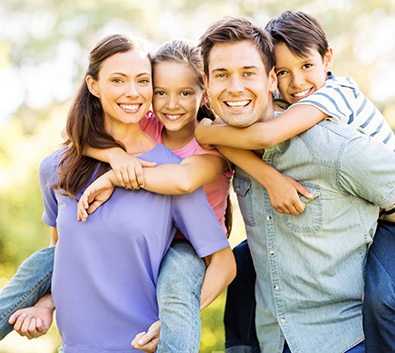 We offer a full range of general and family dentistry services with a lifetime of great dental care for you in mind! Teeth Cleanings | A teeth cleaning – also known as a prophylaxis – is one of the best ways to ensure that your teeth stay happy and healthy. 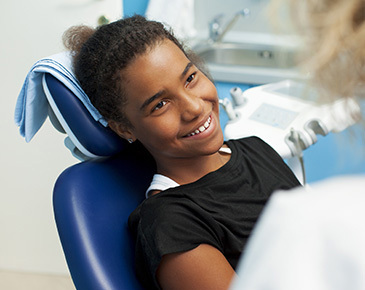 During a cleaning, our team will work to gently remove built-up plaque so that you can prevent potential tooth decay. We will also make sure that your teeth are healthy, and keep an eye out for possible issues that might happen in the future. Having a regular teeth cleaning is truly one of the very best ways ensure that your oral health stays fabulous. Tooth-colored fillings | If you do wind up with a cavity, our team can help. Using tooth-colored fillings made of a durable, long-lasting material designed to blend in with the natural appearance of your teeth we can fill in cavities and help stop decay in its tracks. Dental hygiene | Young or old, if you don’t know how to help prevent dental issues, issues are bound to happen. Our team is trained in providing instruction about how to take care of your teeth properly and can help your family know what they need to do in order to have a lifetime of beautiful, happy smiles. Dr. Taylor and his team are thrilled to be able to provide their services to you and your loved ones, and cannot wait to help you have the smiles you desire. Being a dental office that offers our services to a wide range of ages, we work hard to provide a comfortable, relaxing environment for everyone who walks through our door. Have questions for us about general & family dentistry services, or other services our team provides? Contact Sweetwater Dental in Rock Springs today!